is an architect and researcher, and an associate writer on numerous publications. She works as an editor and architect at the Center for Cultural Decontamination and is co-editor of the architectural magazine and research platform Kamenzind. 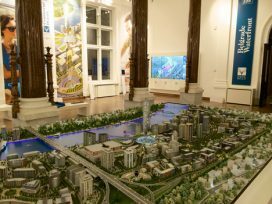 Four activist scholars report on the multi-billion euro Belgrade Waterfront development in Serbia. As the government’s deficit reaches an all-time high and radical cuts in public financing are being forced through, this is a project, they write, that looks like economic suicide.